I mentioned earlier about a Lenten devotion I needed to write for this Lent. This goes into a book where a bunch of us write devotions to be printed and shared with friends, family or whomever. When I wrote the first draft it was because I couldn’t find a final thought or cohesive item to help grow. When I sent it to my friend Alex fro review, he said it was good, but it wasn’t specifically “Tom”. He said it looked like something that would be in a published devotion book, which was good, but could be better. So I ended up going back to the topic that had been rattling in my mind for two months. The problem is that it’s incredibly challenging, and I didn’t really have an answer. But, here’s what I finally came up with. 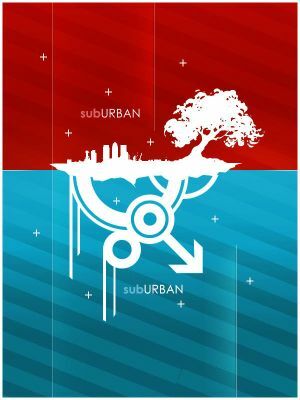 How do I live as a Christian in a suburban world? I have a house with four bedrooms, an office, family room, dining room and living room (can someone tell me why I need both a family room and a living room). If I get kicked out of the bedroom I’ll never sleep on a sofa, instead I’ll get the guest room with its own bathroom. How is it okay that I live in such a large house with so much unused space when I also truly love God? Jeremiah doesn’t say that it’s bad to have the palace, so long as you don’t take advantage of others to get it. But, aren’t I taking advantage of others to live this life? A few years ago a teen in youth group wrote a paper on the atrocities in China’s sweatshops and she wondered how anything like that could happen today. I’ve been walking around stores to see what I can buy that isn’t made in China. The answer? Almost nothing. Now, I have no idea what the working conditions were for my shirt, but it is so cheap the workers can’t be getting paid very much. Maybe we’re not all called to give up everything to follow him, though the psalmist makes pretty clear that even if we look like idiots, if it’s for Him it will further God’s work. Maybe I’m not ready to give up this life and home that I’ve made for myself. Though Jeremiah points out that our fathers got along just fine with less. Every day I struggle to balance this consumerist mentality with my Christianity. Is it okay for me to take another Christian to lunch at $15 per person and talk about God’s will for us? Is it okay to have conversations over $4 cups of coffee? I wish I had an answer, but maybe I already know it.